How To Make Great Compost For A Great Garden - The Simple Secrets! How To Make Great Compost For A Great Garden – The Simple Secrets! At the root of every great garden is a great compost pile. 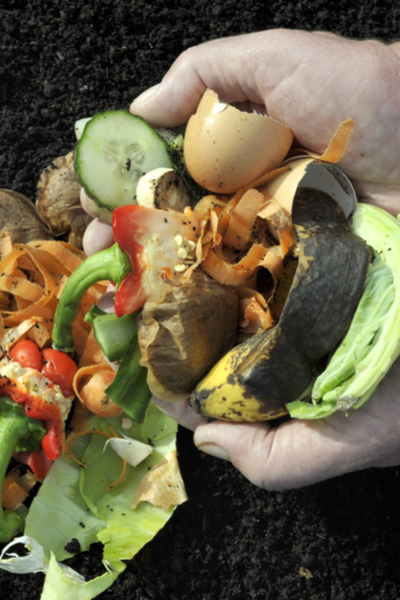 Compost is an amazing organic powerhouse of nutrients. 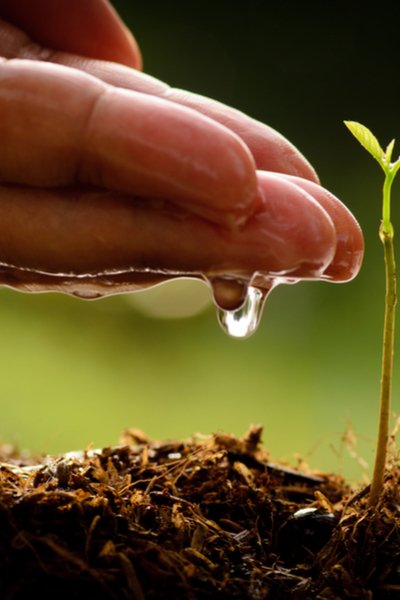 Nutrients that help to keep soil loose, workable, and most importantly, completely energized. We use it absolutely everywhere we can in our garden, and in our flower beds, containers and hanging baskets as well. 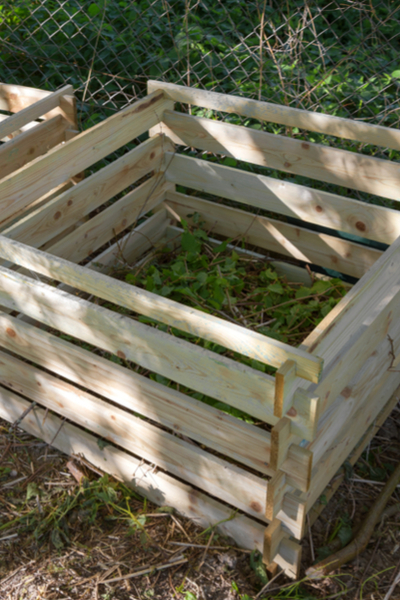 One of them most valuable resources a gardener can have is a backyard compost bin. In our vegetable garden and flower plantings, we add a a shovel-full of compost to every single planting hole. And once planted, we use more as a 2″ thick mulch around the base of every single plant. Not only does compost help to build incredible soil tilth and structure over time, it also acts as a perfect slow-release fertilizer, gently providing a low-dose of nutrients to your plant’s root systems all season long. 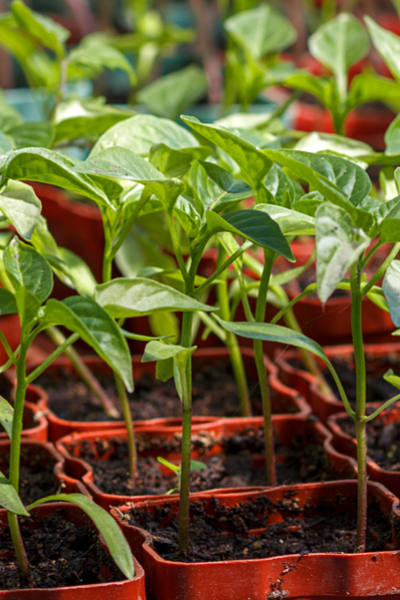 We use compost in both our seed starting mix and our homemade potting soil. Compost tea, made simply by steeping fresh compost in water, is the perfect solution to providing plants with a liquid fertilizing boost. See : How To Make Compost Tea. So enough about how great it is! Let’s take a look now at the secrets to make your own incredible pile this year. 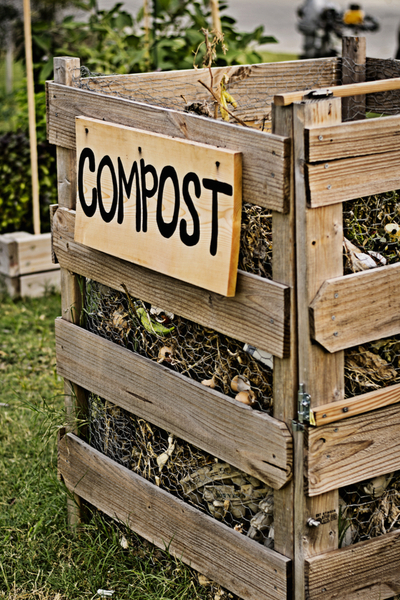 To get the most from a compost pile, it takes a proper balance of Brown (Carbon) and Green (Nitrogen) materials. It can all sound intimidating, but it’s actually quite simple. Brown materials consist of leaves, straw, wood shavings, dead grass, small twigs, etc. Greens on the other hand are materials like vegetable peels, coffee grounds, green grass and plant clippings. Greens can also be animal by-products such as chicken and rabbit manures. They are the “fuel” that gets the pile cooking! So what should the ratio of browns to greens be? A great rule of thumb is for every 4 parts of brown materials, add in 1 part green. And it doesn’t have to be all at the same time either. If you add in 4 buckets of shredded leaves, then a bucket of vegetable peels or fresh green grass needs to go in to balance it out. And don’t fret about being exact or putting materials in at the same time. Add materials as you get them, and just stay as close to the ratios as you can to make the pile work at maximum efficiency. It’s also important to know what not to put in your pile. Meat is a big no-no. It attracts rats, mice, raccoons and other unwanted animals, and can lead to foul smelling piles. In addition – refrain from using dog or cat manure as it can contaminate your pile. If a pile is too small, the materials never “heat up” enough to decompose quickly. And if it is too big, it becomes difficult to turn and mix. As you will see in the next tip, that turning and mixing is a big part of a successful pile. A good bin should be between 3′ x 3′ and 5′ x 5″. This keeps the pile manageable, but still big enough to heat up. So what is the best size? 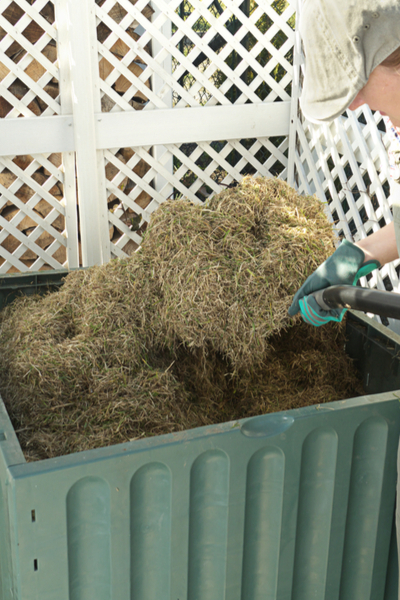 For best results, a pile or compost bin between 3′ x 3′ x 3′high, to 5′ x 5′ x 3′ high works best. It allows for a pile big enough to have thermal heat, but not so big that it’s hard to turn. There are some good options available for purchase, but you can also make a bin from nearly any material. 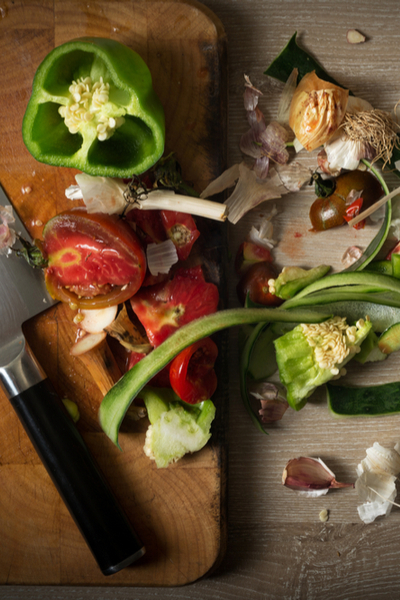 One of the biggest keys to a fast-working compost pile is to chop the ingredients before tossing them in. As a rule, the smaller the item going in, the quicker it decomposes. Chop up those scraps before placing in the pile. There is no need to buy expensive shredders or grinders. A simple run-over with the lawnmower can shred leaves or straw. The same goes for those kitchen scraps. A few more chops with a knife will help break ingredients down twice as fast. Like all living creatures, the organisms that help to break down a compost pile need oxygen. Turning the pile frequently (with a spade or pitchfork) helps to add oxygen to the center core. 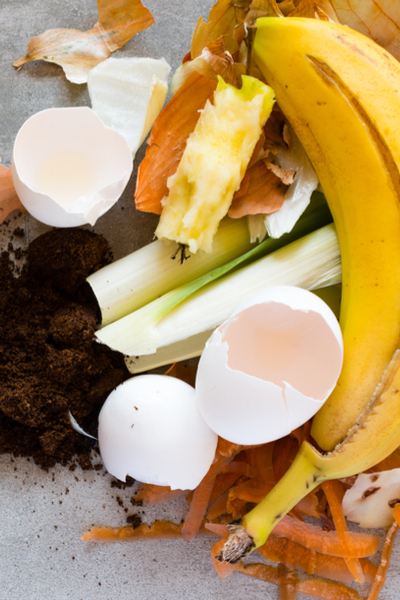 Turning the pile at least once a week will help your compost pile decompose quickly. In addition, the brown and green materials become mixed more thoroughly as well, helping to speed decomposition even faster. Turning a pile at least once a week will speed up the decomposition process greatly. Ideally, a pile should be turned every few days for maximum efficiency. Last, but certainly not least, it is vital to keep the pile moist. In addition to oxygen, compost needs water to keep it cooking. A good compost pile should feel like a slightly damp sponge. Just like plants, compost piles need water to thrive. And remember, at the end of the day, everything will compost eventually. So get that pile going, and start turning all of that “waste” into black gold for your garden! Happy Composting, and Happy Gardening! Jim and Mary.